We write to express concern on the part of the Department of Justice and the Department of Education that colleges and universities are using electronic book readers that are not accessible to students who are blind or have low vision and to seek your help in ensuring that this emerging technology is used in classroom settings in a manner that is permissible under federal law. A serious problem with some of these devices is that they lack an accessible text-to-speech function. Requiring use of an emerging technology in a classroom environment when the technology is inaccessible to an entire population of individuals with disabilities–individuals with visual disabilities–is discrimination prohibited by the Americans with Disabilities Act of 1990 (ADA) and Section 504 of the Rehabilitation Act of 1973 (Section 504) unless those individuals are provided accommodations or modifications that permit them to receive all the educational benefits provided by the technology in an equally effective and equally integrated manner. The Department of Justice recently entered into settlement agreements with colleges and universities that used the Kindle DX, an inaccessible, electronic book reader, in the classroom as part of a pilot study with Amazon.com, Inc. In summary, the universities agreed not to purchase, require, or recommend use of the Kindle DX, or any other dedicated electronic book reader, unless or until the device is fully accessible to individuals who are blind or have low vision, or the universities provide reasonable accommodation or modification so that a student can acquire the same information, engage in the same interactions, and enjoy the same services as sighted students with substantially equivalent ease of use. The texts of these agreements may be viewed on the Department of Justice's ADA Web site, www.ada.gov. (To find these settlements on www.ada.gov, search for "Kindle.") Consistent with the relief obtained by the Department of Justice in those matters, the Department of Education has also resolved similar complaints against colleges and universities. Congress found when enacting the ADA that individuals with disabilities were uniquely disadvantaged in American society in critical areas such as education.6 Providing individuals with disabilities full and equal access to educational opportunities is as essential today as it was when the ADA was passed. In a Proclamation for National Disability Employment Awareness Month, President Obama underscored the need to "strengthen and expand the educational opportunities for individuals with disabilities," noting that, "[i]f we are to build a world free from unnecessary barriers . . .we must ensure that every American receives an education that prepares him or her for future success." http://www.whitehouse.gov/the-press-office/presidential-proclamation-national-disability-employment-awareness-month (September 30, 2009) (emphasis added). Technology is the hallmark of the future, and technological competency is essential to preparing all students for future success. Emerging technologies are an educational resource that enhances the experience for everyone, and perhaps especially for students with disabilities. Technological innovations have opened a virtual world of commerce, information, and education to many individuals with disabilities for whom access to the physical world remains challenging. Ensuring equal access to emerging technology in university and college classrooms is a means to the goal of full integration and equal educational opportunity for this nation's students with disabilities. With technological advances, procuring electronic book readers that are accessible should be neither costly nor difficult. We would like to work with you to ensure that America's technological advances are used for the benefit of all students. 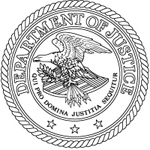 The Department of Justice operates a toll-free, technical assistance line to answer questions with regard to the requirements of federal laws protecting the rights of individuals with disabilities. For technical assistance, please call (800) 514-0301 (voice) or (800) 514-0383 (TTY). Specialists are available Monday through Friday from 9:30 AM until 5:30 PM (ET) except for Thursday, when the hours are 12:30 PM until 5:30 PM. These specialists have been trained specifically to address questions regarding accessible electronic book readers. 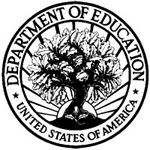 Colleges, universities, and other stakeholders can also contact the Department of Education's Office for Civil Rights for technical assistance by going to OCR's Web site at http://wdcrobcolp01.ed.gov/CFAPPS/OCR/contactus.cfm. We appreciate your consideration of this essential educational issue and look forward to working with you to ensure that our nation's colleges and universities are fully accessible to individuals with disabilities. 1 28 C.F.R. § 36.201(a); 28 C.F.R. 36.202(a); and 28 § C.F.R. 36.202(c) (2009).